The Lakers didn't trade for Anthony Davis before Thursday's deadline. The Lakers did have most of their roster - Kyle Kuzma, Lonzo Ball, Brandon Ingram, Josh Hart, Ivica Zubac (who got sent to the Clippers in another deal), Kentavious Caldwell-Pope, Rajon Rondo, Lance Stephenson and Michael Beasley - named in reports of Los Angeles' offers to the Pelicans. That appeared to take a toll on the Lakers' chemistry. 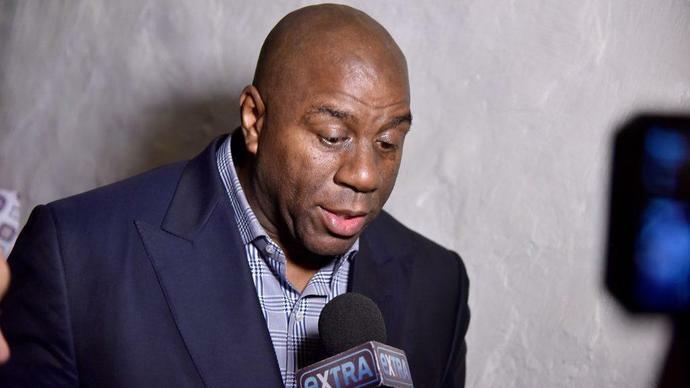 So, Lakers president Magic Johnson met with the team Sunday. What's worse, your team trying to trade you for a superstar or your boss pledging to hug you then rescinding the offer? Either way, tough times for Lakers players. Lakers president Magic Johnson reportedly planned to fire coach Luke Walton and wanted to fire general manager Rob Pelinka. Instead, Johnson resigned with a stunning public announcement without first telling owner Jeanie Buss. Pelinka, who has many detractors throughout the league, is now in charge of the front office.